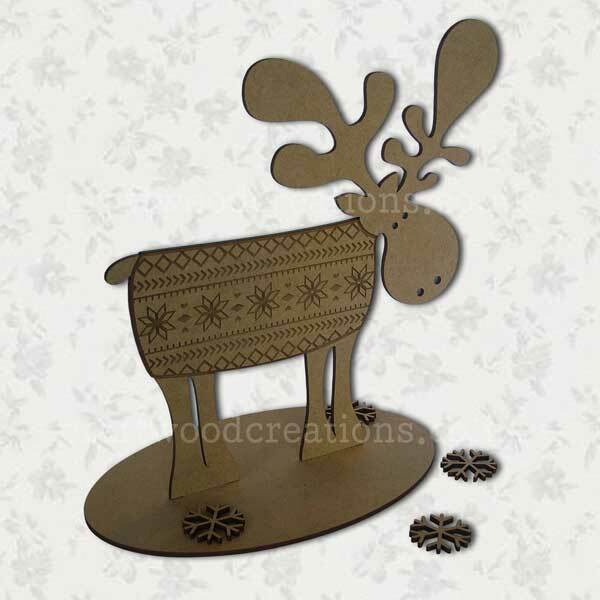 This “Wooly Pully” Reindeer is made from Premium Grade 2.5mm MDF. 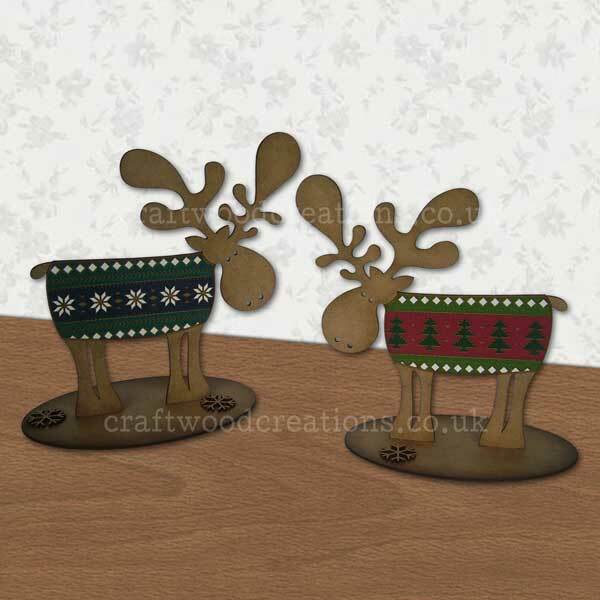 Can also be painted etc. Flat Packed, requires assembly. Easily assembled. When assembling hold Body or Legs to push into base.